What’s Your Home Worth On Martha’s Vineyard? If you plan to sell your home any time in the near future, you may be wondering how to best determine your home’s value. You may have heard the words appraised value, assessed value, and true market value. It’s important to know the difference between each one, so you can make better, informed decisions — whether you’re selling or buying. For sellers, this means knowing what your home can sell for and not pricing it too high, so that it ends up sitting on the market, and of course, not pricing it too low either, so that you end up selling it for less than what you could have. For buyers, it’s important to know what the value of the home you want to buy is worth, so you can put in a competitive offer and not over pay. For Appraised Value, there needs to be a professional appraiser to assess the home and in charge of determining the appraised value of a home. Appraised value is typically required by the lender when a buyer is financing the property. And while the lender is the one requiring this information, the appraiser does not work for the lender. Your appraiser should be an objective, licensed professional who doesn’t have allegiance to the buyer, seller, or lender—no matter who is paying their fee. The number the appraiser comes up with (the appraised value) assures the lender that the buyer is not overpaying for the property. For example, imagine a seller lists a home for $800,000. They reach a deal with the buyer to sell the home for $775,000. However, if an appraiser evaluates the property and determines that the appraised value is actually $775,000, then the lender will not lend for an amount higher than that appraised value of $775,000. When figuring out this number, an appraiser will compare the property to similar Island homes in the neighborhood of the home you’re interested in, and they’ll evaluate factors such as location, square footage, appliances, upgrades, improvements, and the interior and exterior of the home. As you know, location has a lot to do with this number on Martha’s Vineyard. The assessed value of a home is determined by the town municipal property assessor. This value matters when Dukes County calculates property taxes each year. The lower your assessed value, the less property tax you’ll pay. If your assessed value isn’t as high as you thought it might be, don’t be too worried. Many homeowners appeal their assessment. Some in favor of a lower valuation so that they can save money on property taxes. If you’re interested in appealing your property tax assessment, let us at Point B know. We can help you. True market value is where we can really help you. True Market Value is established by your real estate agent. It refers to the value that a buyer is willing to pay for the property. A good real estate agent is an expert in determining true market value because they have hands-on experience buying and selling properties. We understand the mindsets of buyers in the Martha’s Vineyard market, and know what buyers will pay for a desirable property. As a seller, knowing your true market value is important because it helps you choose how much to list your property for. It can also help you decide if you want to make any improvements to your home before putting it on the market. We can help you figure out which updates and upgrades will have the biggest impact on your true market value. Even Zillow recommends that you use a real estate agent for coming up with the actual market value of your home. The site says that once you get your “Zestimate,” you should still get “a comparative market analysis from a real estate agent.” This is especially true on Martha’s Vineyard. The pricing structure of home values is a lot different than let’s say in central New Jersey or in Columbus, Ohio. There are a number of factors that go into pricing homes on Martha’s Vineyard, and having us at Point B Realty involved in this process is necessary. Our real estate experts have a breadth of understanding this challenging market more than a website ever could. We are showing properties all over the Island everyday and for over a decade. We know particular preferences of buyers and sellers in our area. Our agents have worked with second home owners/buyers, new home owners/buyers, people who need to upsize their homes and more. We have helped almost every type of buyer/seller and understand what people in our market are looking for. Determining a home’s true market value is our forte. If you’re a seller, we will help you find your home’s market value so you can list it at the right price. ● Neighborhood Sales – We look at similar, recently sold homes in your neighborhood to see what they sold for and what they have in common with your house. ● The Exterior – What does your home look like from the outside? We will factor in curb appeal, the style of the house, the front and backyard, and anything else that impacts how the house looks to everyone walking and driving by. ● Age Of The Home – Whether you have a newer or older home impacts the number we come up with as part of our assessment, and that applies to both the inside and outside. ● Style Of The Home – The style of your home is important because buyers in different markets have different tastes. If buyers prefer Cape style homes and you have one, then your home may sell for a premium (aka more money!). ● Market Trends – Because we’re local real estate experts here on Martha’s Vineyard, we have our fingers on the pulse of the Island’s trends and know what buyers are willing to pay for a property like yours. ● Location, Location, Location – This one’s probably the most obvious especially here on Martha’s Vineyard, where people have preferences for different towns and want to make the most of their time here. We will assess how popular the area is, what the neighborhood is like, and more. A computer algorithm simply can’t take all of these factors into account when calculating the value of your home. This is also a big factor regarding those looking to buy for an investment with the intent to rent. The reality is, nothing beats the accuracy of a real estate agent or professional appraiser when it comes to determining a home’s true market value. For buyers, we will help you determine the true market value, so you can come up with a fair offer. We can also set up a personalized home search on the Multiple Listing Service (MLS) for you so you’ll receive emails of listings that meet your criteria. With this service, you can see what properties are available on Martha’s Vineyard as soon as they hit the market. You’ll be able to see how homes are priced and get a better understanding of what your money can buy. Plus, it’s fun to check out all the homes! We are here to help every step of the way. If you are wondering about your home’s true market value, you can email or call our Sales Team, 508-627-4567 ext 2, or feel free to stop by our office at 19 Winter Street, Edgartown, in Nevin Square, to request a free, no-obligation Comparative Market Analysis to find out exactly how much your home is worth. All of the homes pictured in this On Point MV are Point B listings. Please let us know if you would like additional information on these Island homes. You can learn more about the Point B Team, who we are and what we do, on Facebook, on Twitter, LinkedIn, Pinterest, Youtube and Instagram. 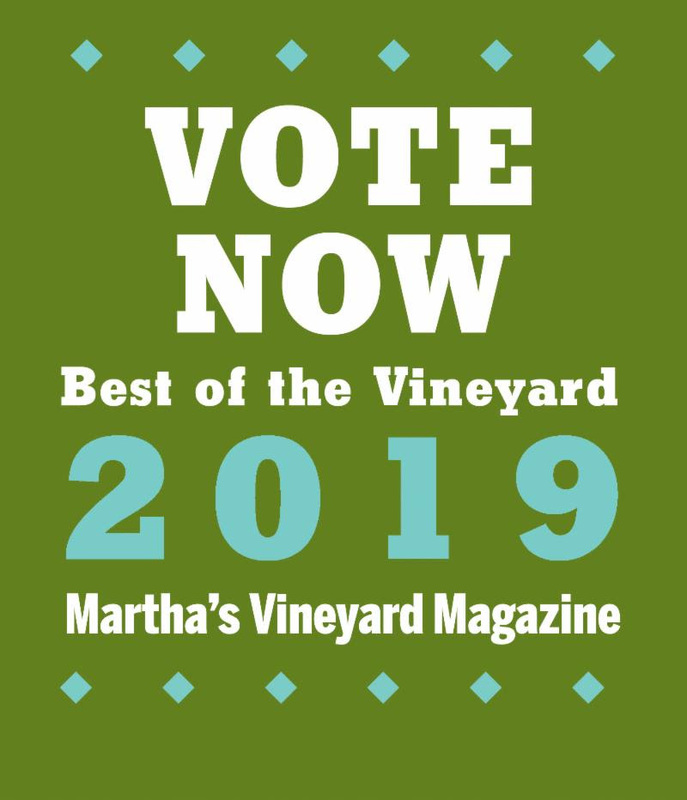 Please consider voting for Point B Realty for Best Real Estate for this year’s Best of the Vineyard. With your support, we have been named the Best Real Estate Company for the past five years. Click here to vote.